Obesity has reached epidemic proportions in the United States. In this country, approximately 19% of 6 to 19 year olds are classified as obese, and the prevalence of obesity has significantly increased over the past 3 decades (Ogden et al., 2010). Additionally, a 95% increase in extreme obesity has been noted in children between 6 and 11 years of age (Klesges, Shelton, & Klesges, 1993), and obesity has been seen in children at younger ages (Bedinghaus & Doughten, 1994). These alarming rates are highest in ethnic minority populations (Ogden et al., 2007). Schools have been identified as an optimal setting for prevention efforts; however, few intervention programs have demonstrated actual decreases in BMI. The Oliver Foundation Kids Team in Fort Bend Independent School District: A six year longitudinal study of BMI trends among elementary school children. The Fort Bend Independent School District (FBISD) longitudinal study sought to track trends in BMI changes during the elementary school years. We began tracking children's heights and weights beginning in the fall of 2005. We have been able to follow the kindergarten class of 05-06, measuring their heights and weights at both the beginning and end of each school year. To date, longitudinal data has been collected on over 30,000 children from this class. Briefly, we found alarming rates of overweight and obesity in these children, with 32% of the sample having a BMI greater than or equal to the 85th percentile. Rates of overweight were especially high within Hispanic and Black students. Interestingly, overweight and obese students were found to decrease their BMI between kindergarten and third grade, while normal weight children slowly increased their BMI. This is particularly concerning as 19% of the normal weight children were classified as overweight or obese at the end of 3rd grade while 6% of obese children became normal weight. We continue to track this cohort of children to study changes in children's health over time; however, the rates of obesity identified in this study called for the need for greater efforts to prevent and treat obesity in elementary school aged children. Evaluation of 72 educational vignettes produced by the Oliver Foundation, OrganWise Guys and the W. K. Kellogg Foundation. One way to address the obesity epidemic is to increase awareness and improve knowledge about physical activity and nutrition. This may be especially true in prevention efforts with young children. The current study attempted to do this through puppet vignettes created by the OrganWise Guys. Basically, these vignettes teach children the importance of healthy eating, physical activity, and being an overall good citizen. The study was to evaluated the acceptability of the 72 educational vignettes produced by the Oliver Foundation, OrganWise Guys and the W. K. Kellogg Foundation on children ages 4 -12 who attend a private school. Teachers also evaluated the vignettes to determine their applicability to a school environment. Overall, the vignettes were well accepted and provided an easy dissemination vehicle for both children and teachers. The teachers unanimously agreed that it would be easy to incorporate vignettes into their everyday classroom lesson. They also would highly recommend the vignettes to be used by other teachers. The next step after this project was to measure the impact of our efforts to intervene in the schools. 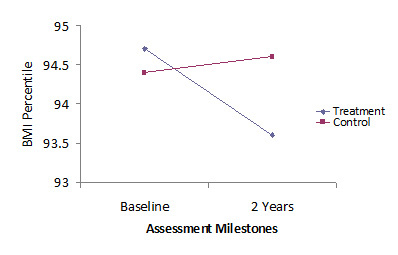 The results of this study showed that students who received the directed intervention significantly reduced their BMI zscore when compared to the children in the self-guided condition. This study suggests that an integrated health curriculum supported by trained professionals is a promising approach for school-based pediatric obesity prevention. Because of the success observed with elementary school age children, the decision was made to expand our intervention efforts to middle school and high school. Stop 2048 is an innovative program in which teens and young adults are involved in teaching younger students about living a healthy lifestyle. The overall concept is that not only will teens and young adults be more creative and energetic about identifying solutions to this health epidemic by becoming "a leader in health today", but some of these individuals will maintain an interest and become "a leader in health for tomorrow" as well. This unique approach to creating a cultural change or social movement in schools was developed based on information gathered from a group of teenagers, Youth Excited About Health! (The Oliver Foundation Teen Advisory Board), committed to improving the health of their peers. This course will be offered at the YES Preparatory Academy. High School students will serve as role models and conveyers of information to middle school students. A health mentor (trained research staff) will assist high school students in developing and teaching these courses. Student teachers will spend time meeting with the health mentor and developing a health class for middle school students. 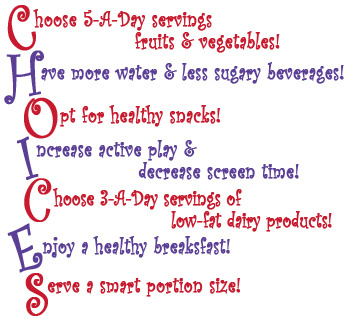 The middle school curriculum will focus on the same 7 healthy messages (CHOICES) as in the elementary school program. Middle school students will receive nutrition and exercise instruction. The classes will be 45 minutes in length 3 times per week and will focus on behavior modification as it applies to healthy nutrition and exercise. Nutrition instruction will be provided once per week and led by high school students. Physical activity instruction will be provided a minimum of twice per week and will be led by high students. Physical activity classes will focus on improving flexibility, core strength, and endurance while providing opportunities to reinforce and apply healthy messages learned in nutrition. High school students will be supervised by a trained bachelor's level mentor with expertise in nutrition and physical activity. The success of this program will be measured in reduction of zBMI in the middle school students as well as performance on health knowledge quizzes and class presentations. Stop 2048 will engage today's youth in leading the charge against obesity. We plan to educate teens about health, get them excited about making a difference in their school, and engage them in developing solutions for the future. Taking action now with our youth is critical as the children of today may be the first generation to not outlast the previous generation.